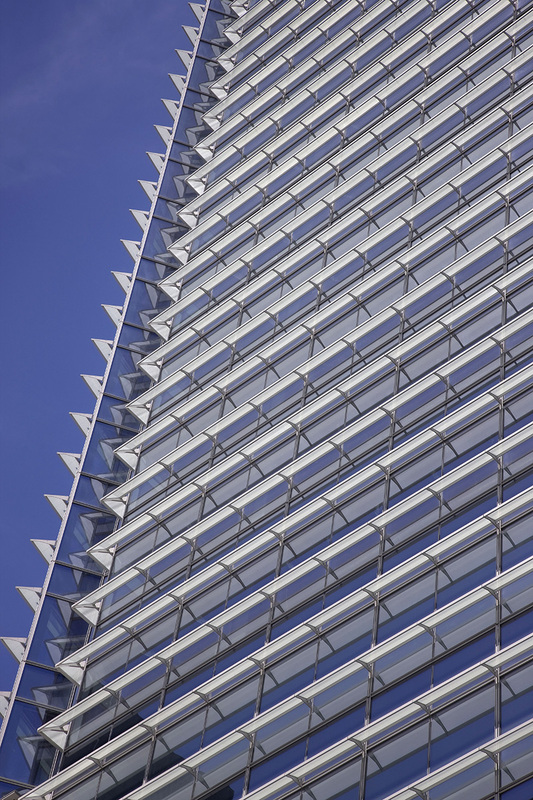 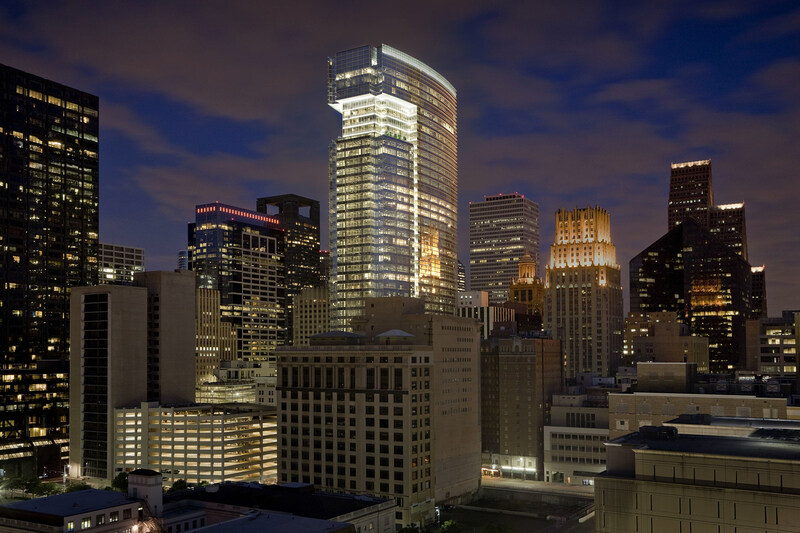 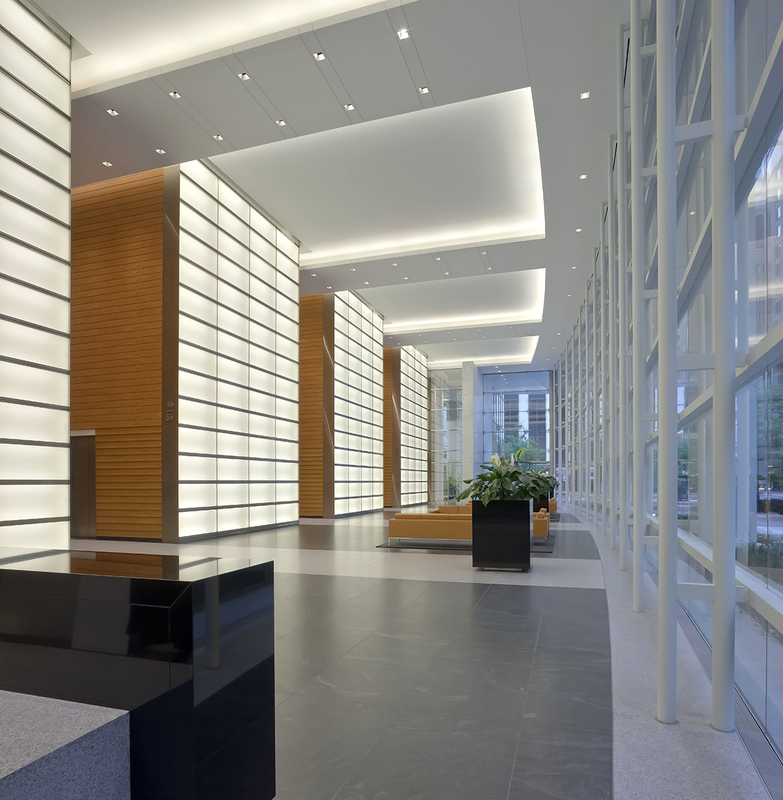 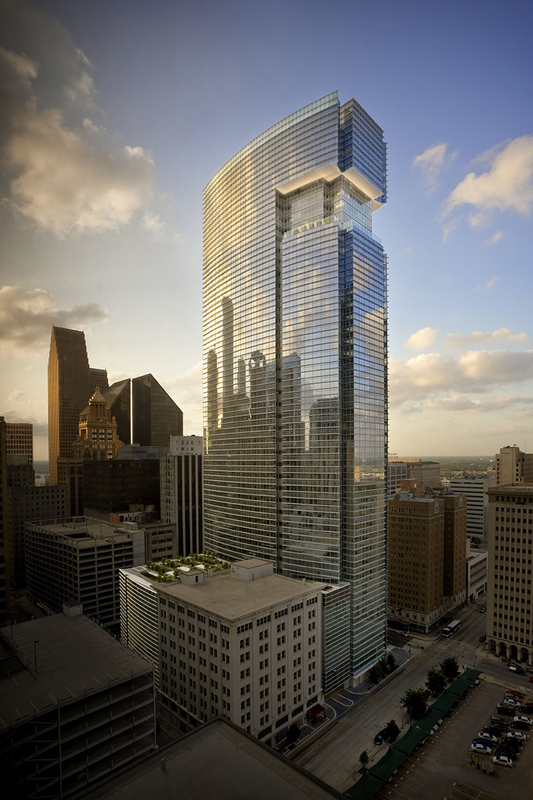 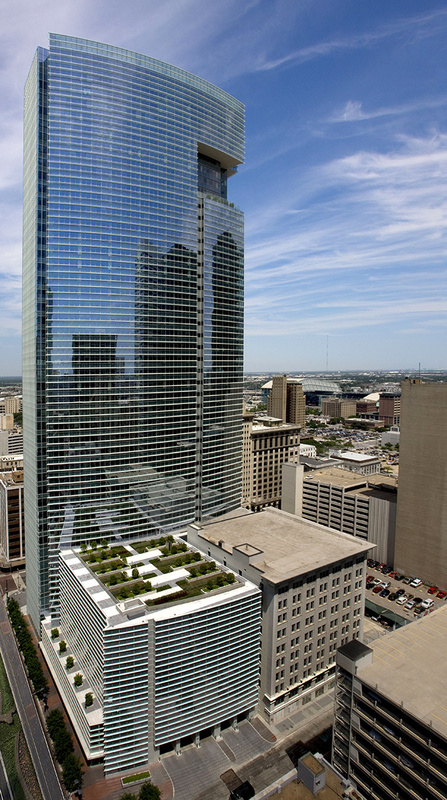 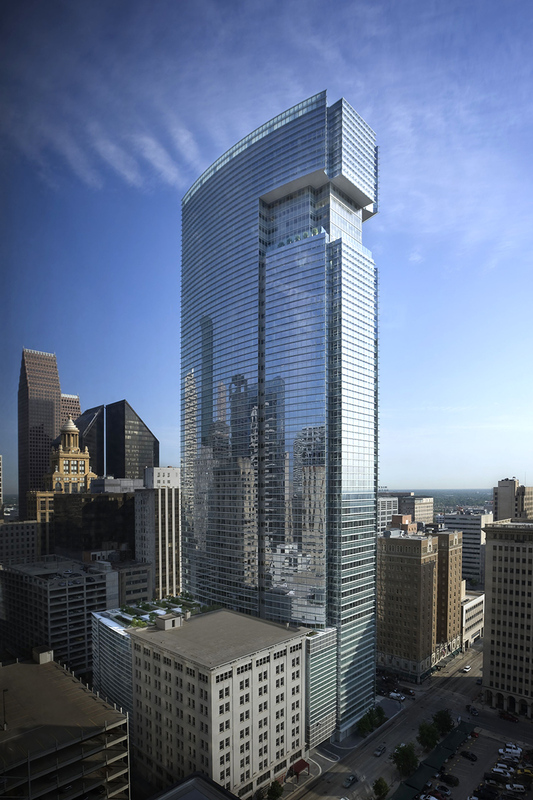 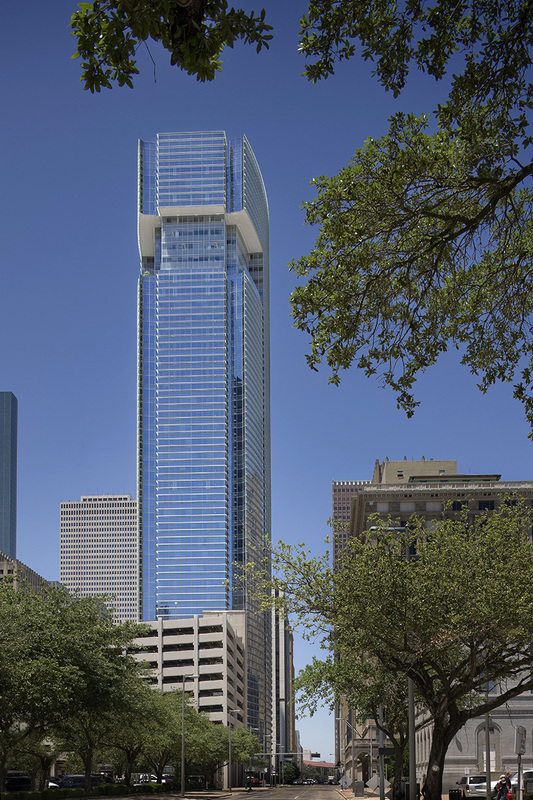 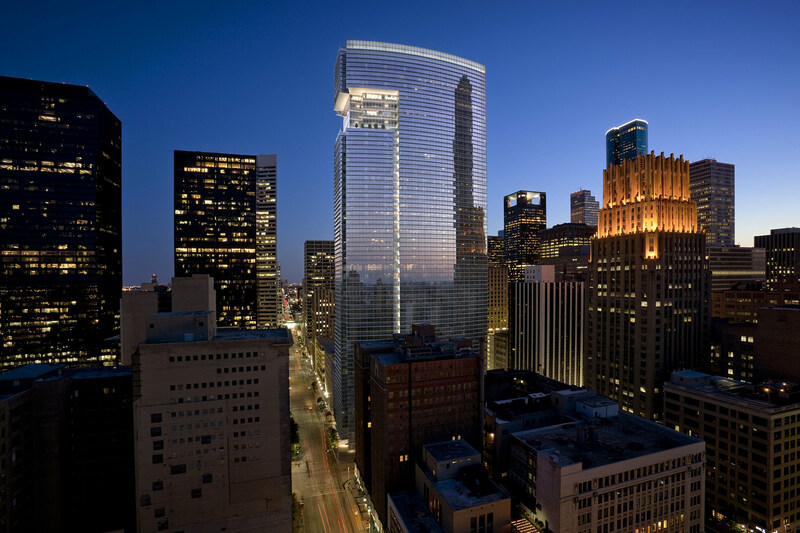 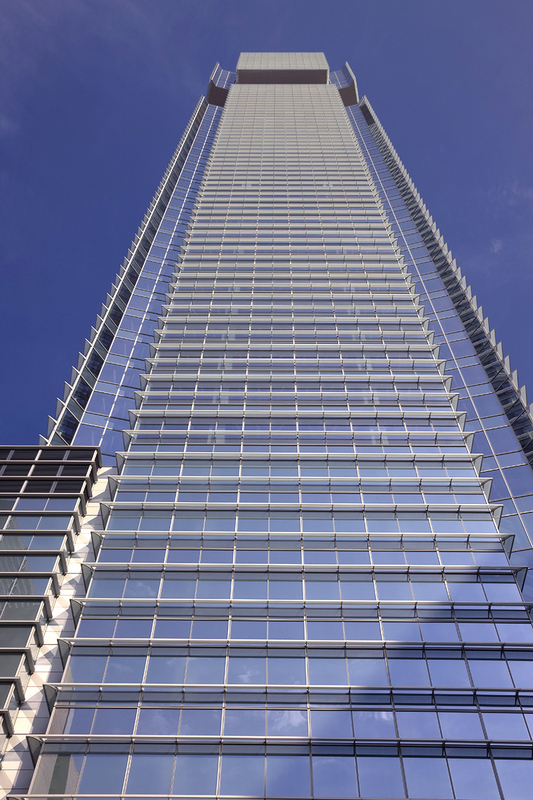 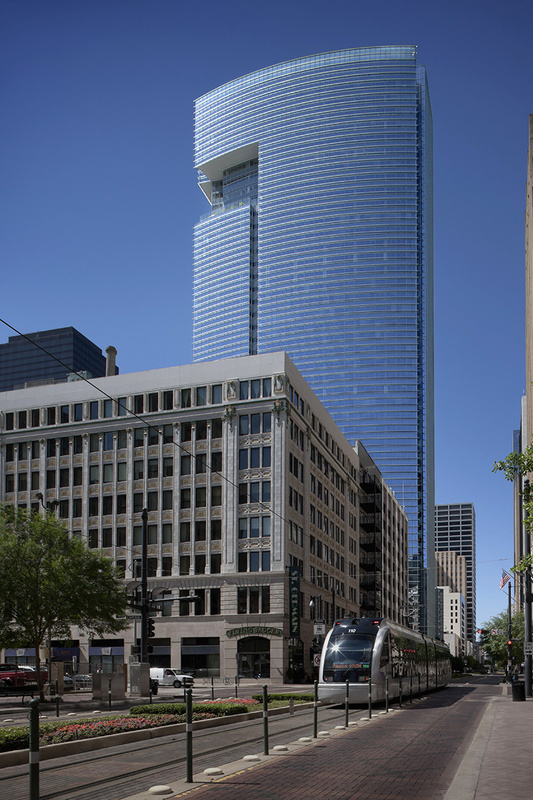 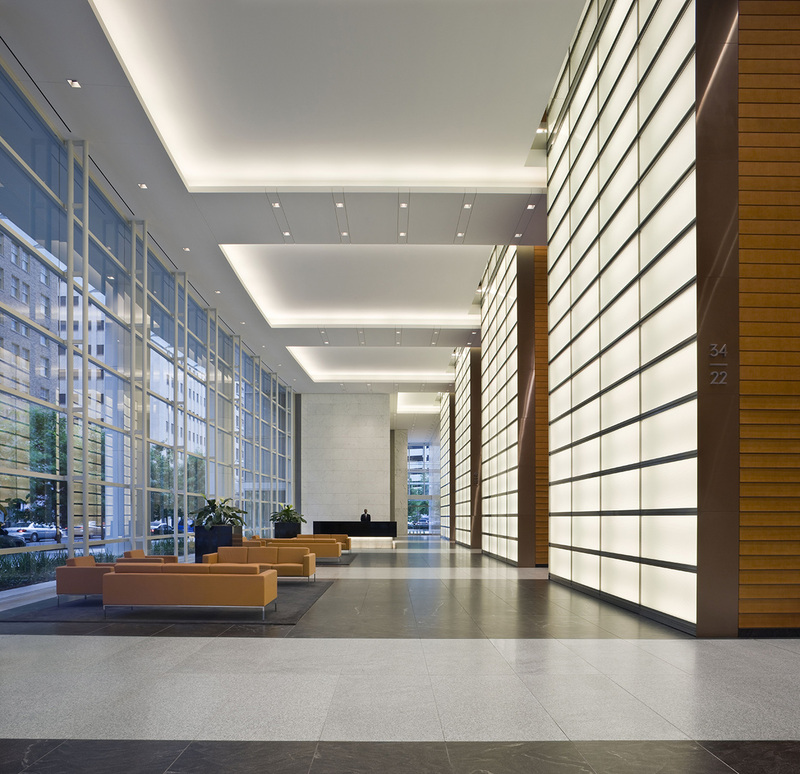 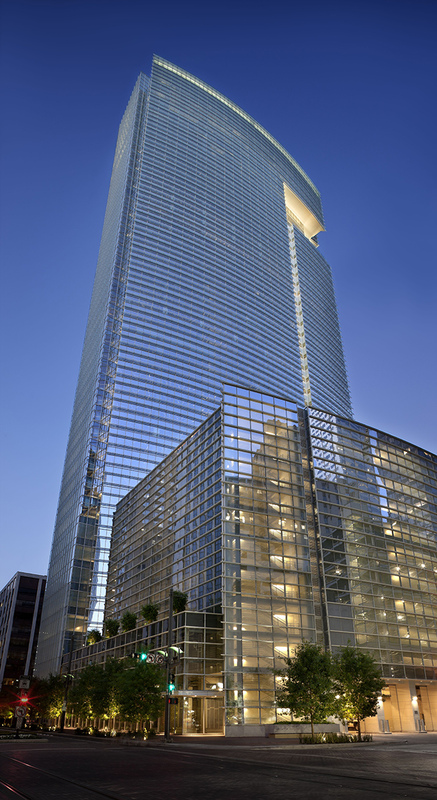 This high-rise tower is an elegant addition to the downtown Houston office market. 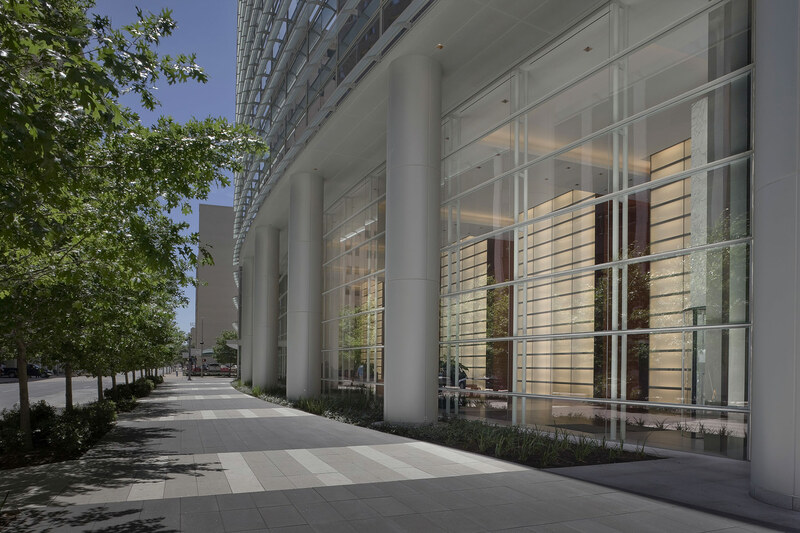 MainPlace is clad in glass with horizontal sunshades of glass and aluminum that wrap around the building’s curved façades. 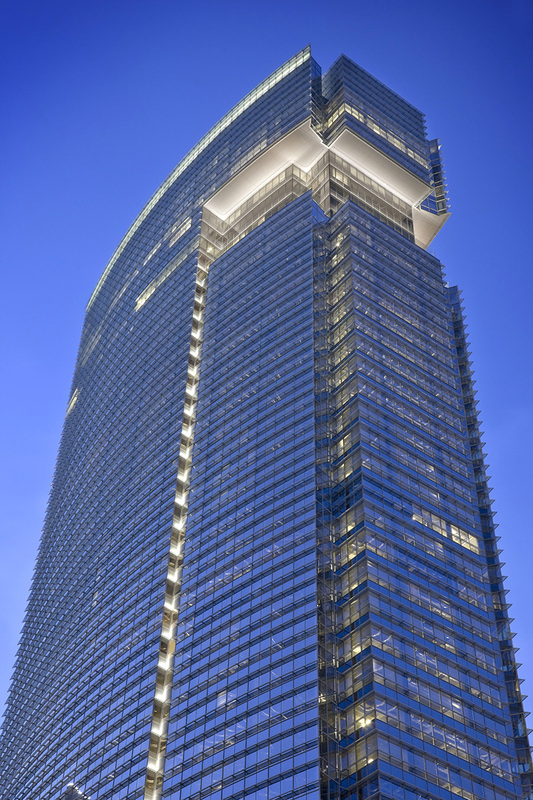 A signature feature of MainPlace is the dramatic 39th floor Sky Garden, a five-story high recess carved into the building’s form on three sides. 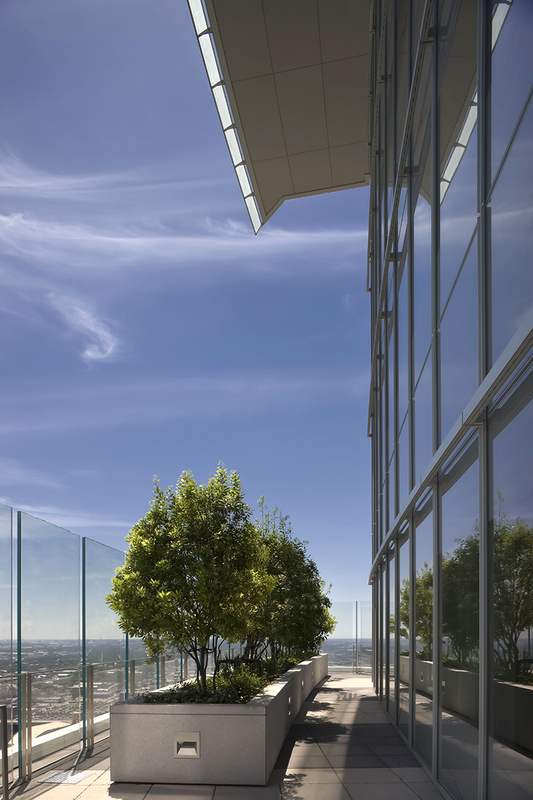 A roof terrace above the garage at the base of the tower provides additional green space in the tower structure. 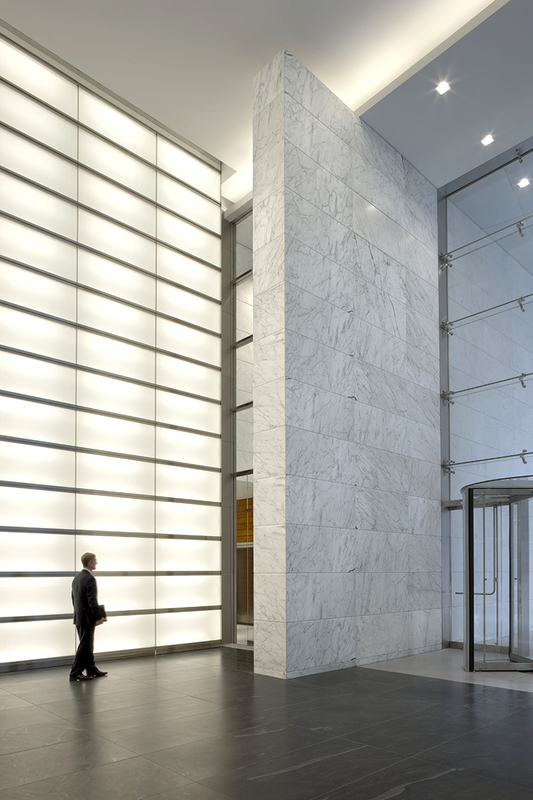 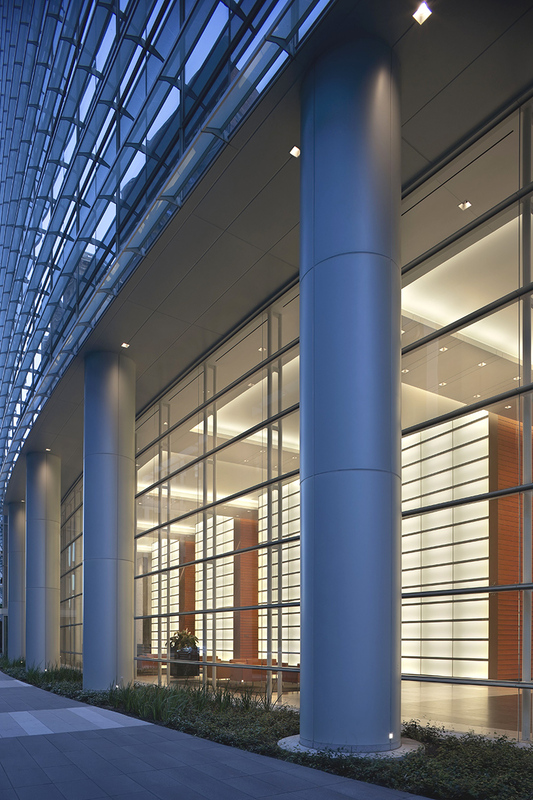 The building is certified as LEED Platinum by the USGBC. 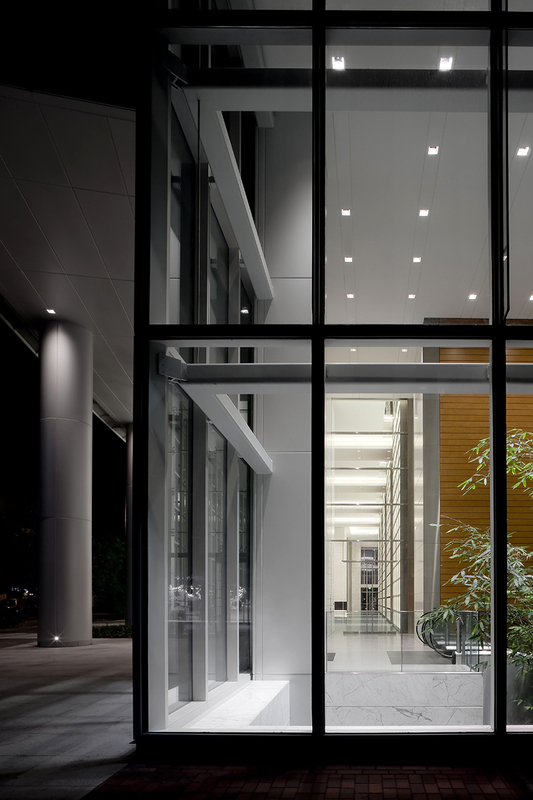 European Centre for Architecture Art Design and Urban Studies and The Chicago Athenaeum 2012 Green GOOD DESIGN Award.